A video of Tam Pang Beach Resort on the Island of Koh SiChang in Thailand. 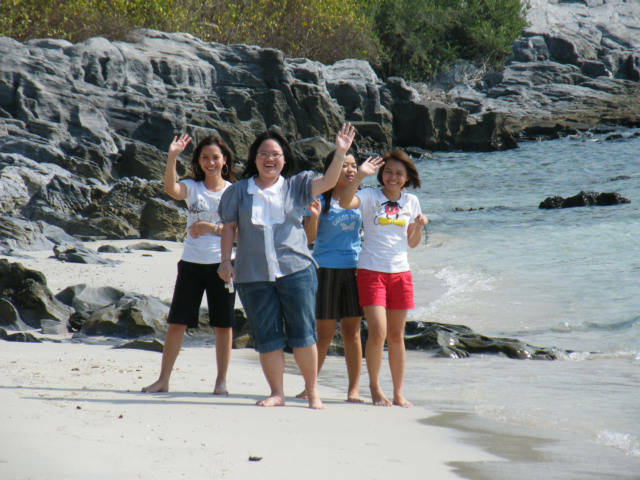 This is the only beach on the Island and rooms rent for 550 Baht per night for two. A person needs to rent a motorcycle or be Resort California stranded. (Hotel California) This is four hours travel by bus from Bangkok and nice swimming. 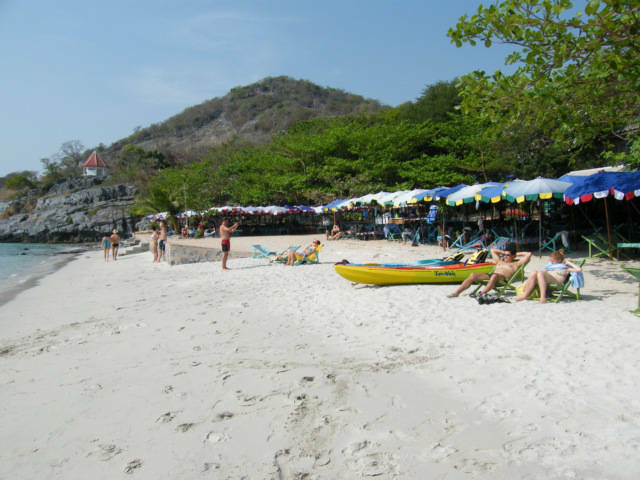 This is a Thai style resort beach and opposite from the bar girls style of Phuket, Pattaya or Samui, more for relaxation, Kayak, snorkeling. This is in front of the Tam Pang Resort on the Island of Koh SiChang. There are room on this Island from 200 and up, in a way best to rent a taxi and drive the whole island before you choose a room. Motorcycles rent from 200 Baht up per 24 hour day, including gas. Sunday night through Friday morning this beach is probably great, I would say on the weekends it turns into one of the largest beach bars you ever seen as hundreds of Thailand people change bar locations for the day. This is not a cheap beach, a person can go to Koh Pha Ngan, the full moon party beach and live for half the price with five time the travel time to get to the beach. We lived on Koh Chang near Ranong for 250 Baht per night on the beach.